BlueMoon enterprise wishes you love and peace for the holiday and all year! I have always loved the story “A Christmas Carol” I love the way Dickens words captures life in the Victorian times, painting a vivid picture of snow covered cobble streets, smoking chimneys and wide eye children. How I would love to walk down High Street, feel the sputter of snow on my face as my body is adorn with yards and yards of Christmas plaid and deep green velvet. The magic of the season is strong, so for my last Snow globe dress I wanted to try and express the feeling I get every time I read my beloved book, The Vintage Christmas dress if full of magic, in the skirt you’ll find a 3D tree and all the trimmings, something you have to see to believe. Vintage Christmas Dress with 3D tree in skirt. 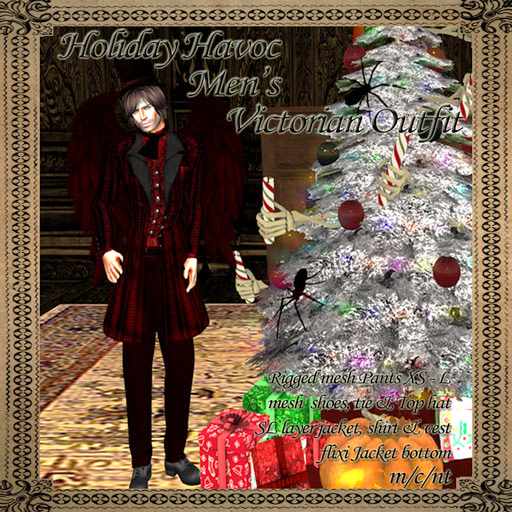 Holiday Havoc Hunt a must DO! 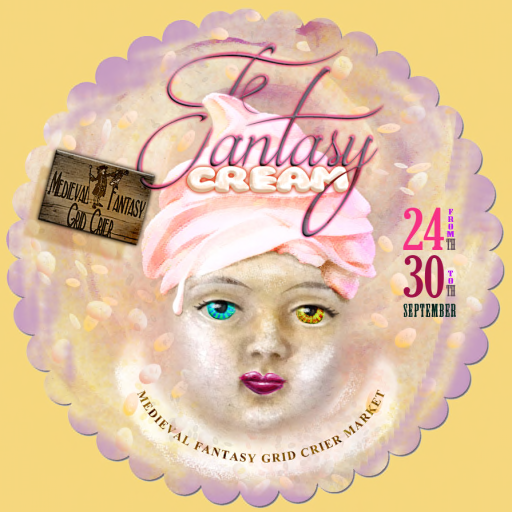 This hunt is NOT like any other of the grid wide hunts, it’s a challenge of wit. I feel so lucky to have been asked to partake in. 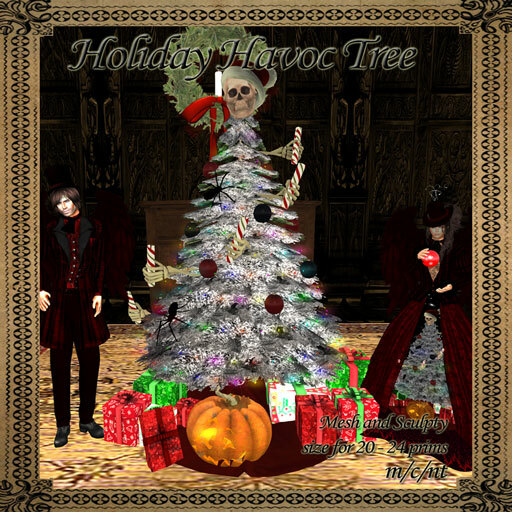 The two holidays of Halloween and Christmas have always existed in a fantasy world, connected to our world by a magical portal.Then one night something bad happen. The gates to both towns were shattered in the chaos and the magical portal activated in confusion exposing itself to both world! Help Fight to restore the peace. To find out how click here. 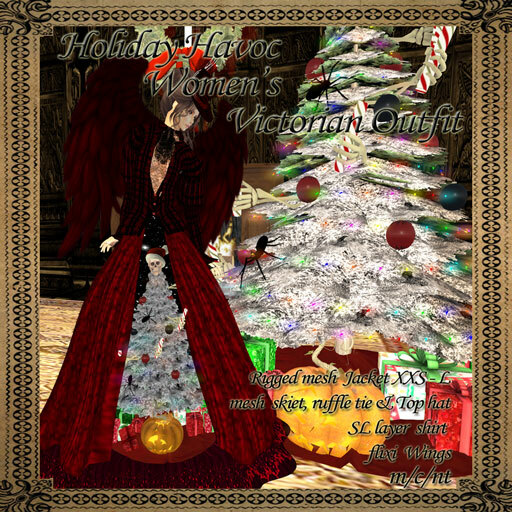 BMe Holiday Havoc Woman’s outfit. This is another snowglobe dress, but with out the snow. You have to see the dress to find all its secrets. Free for MadPea holiday hunters. BMe Man’s Holiday Havoc Outfit. This vintage Victorian Man’s Suit has a bit of a dark side. Find it and see why. “The Peace On Earth Gridwide Hunt is my gift back to Second Life. 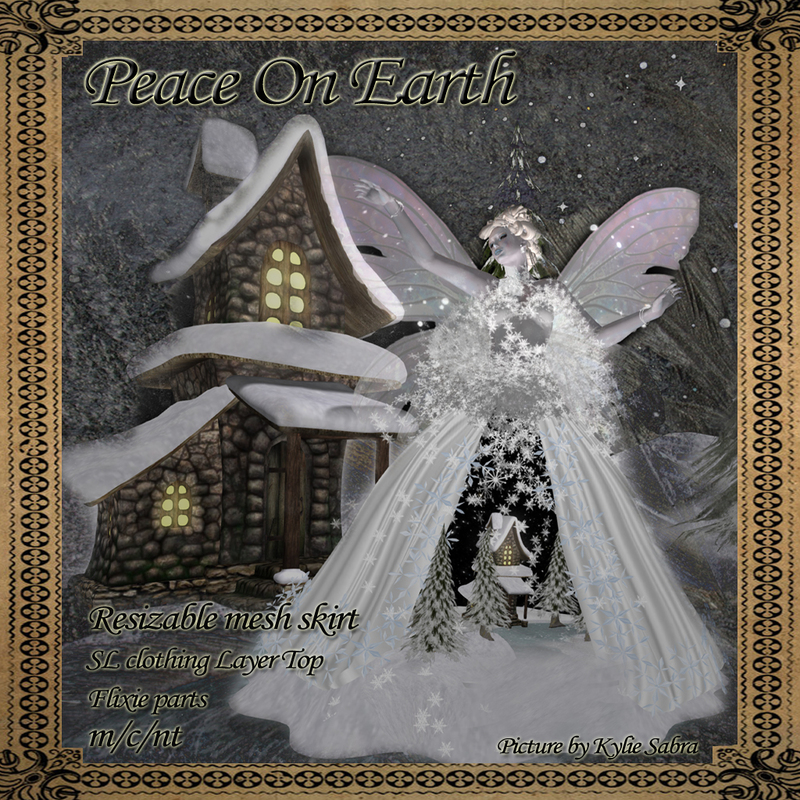 Check out the Peace on Earth Blog for more info and starting landmarks. Lisa was the highest bidder at the Michael J Fox Premier Part and won the unique fashion designed just for her. Below please fine the real life picture of what she wanted and the Second Life picture of what I created for her. 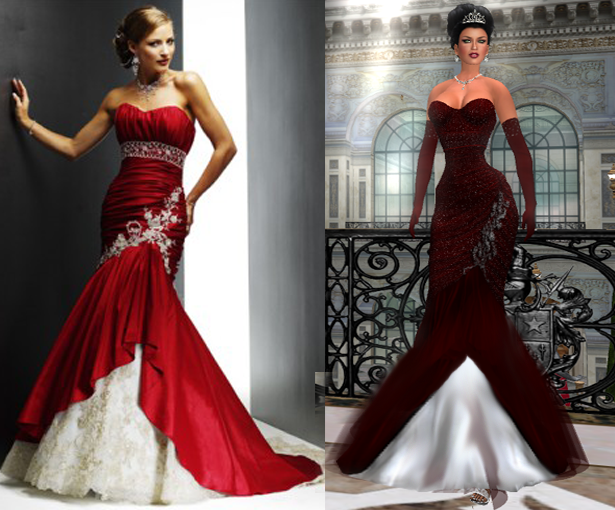 Lady Lisa’s Red dress is exclusively hers. She loved it so much she asked me to make a few other colors to sell all funds going to Team Fox, part of the Michael J Fox Foundation for Parkinson’s research. Thank you Lisa for your generosity and support to Team Fox in Second Life. 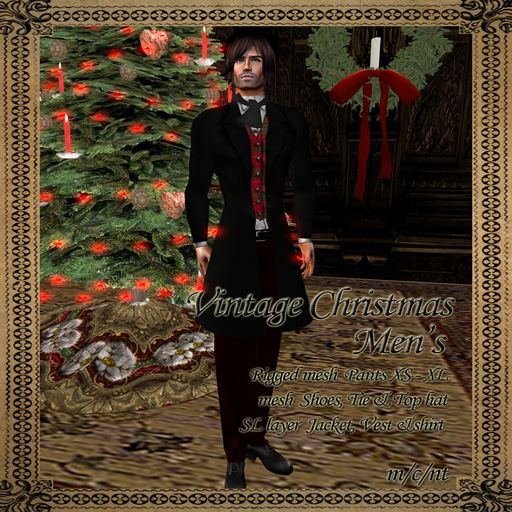 photo by angel kingmaker at angelwood art center in second life.